Rsby is a government of India sponsored Health insurance scheme for the unorganized sector labours in the country. The Government of India provides financial assistance for insured families. Under RSBY, a maximum of five members in a family can avail in-patient treatment benefit for up to Rs.30,000/- for a year through empanelled Hospital. Karunya benevolent fund is an initiative of the State government of Kerala. The Scheme implimented during 2011-12 throught the funds accumulated through the sale of karunya Lottary tickets and this fund will be used for the free treatment of BPL family members for treatment of Heart diseases and kidney diseases. As per GO(P) no.10/2016/H&FW-D dated 21-01-2016 Kerala state government staffs can avail reimbursement benefits for treatment done in Dr.SM CSI MCH. State Govt employees can also claim remibursements including the super speciality treatment availed in this hospital from Cardiology, Nephrology, Neurology, Neuro surgery, Gastroentrology, Urology and Pediatric surgery. CSI Medicare (Hospital Group Insurance Scheme in association with Oriental Insurance Co.
CSI Medicare insurance scheme provides many OP as well as IP benefits to patients and their family members. Under this prestigeous scheme anyone can join by paying a minimal premium amount which start from Rs.500 to Rs.1500 depends up on the coverage and number of persons . The total insurance coverage for a family in a policy year is either 30000 or 60000. 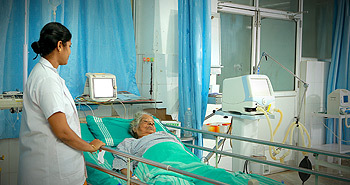 All other Mediclaim Insurance policy holders can claim Reimbursements for the treatment done in this hospital.